The most deliciously healthy way to start your day! Breakfast is the most important meal of the day — so all the more reason to get creative with it! These vegan banana waffles are filling and satisfying, especially when coated with a dripping layer of maple syrup and coconut whipped cream. Or if you’re looking for a lighter option, go for a fresh fruit topping instead. 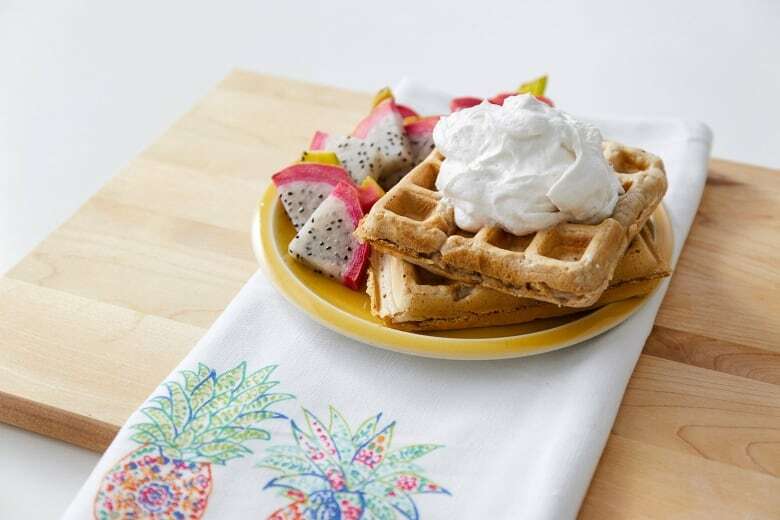 However you choose to eat them, you’ll go bananas for these extra light and fluffy waffles! 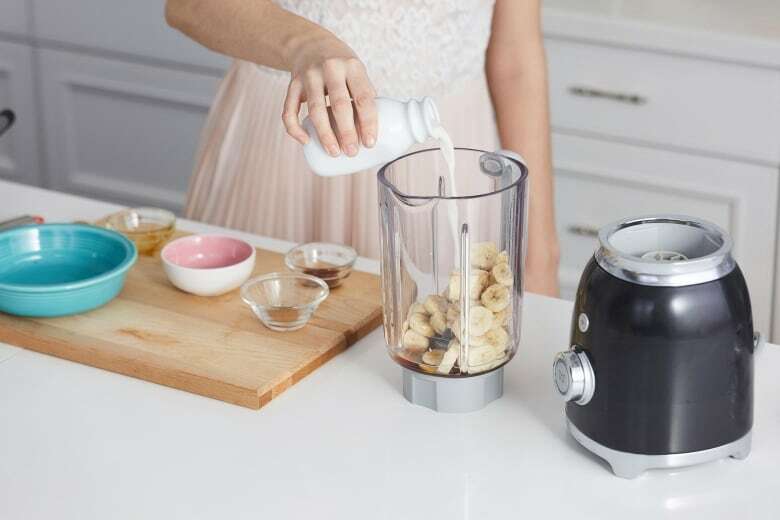 Chop your bananas into coin-sized pieces, and add to your blender. 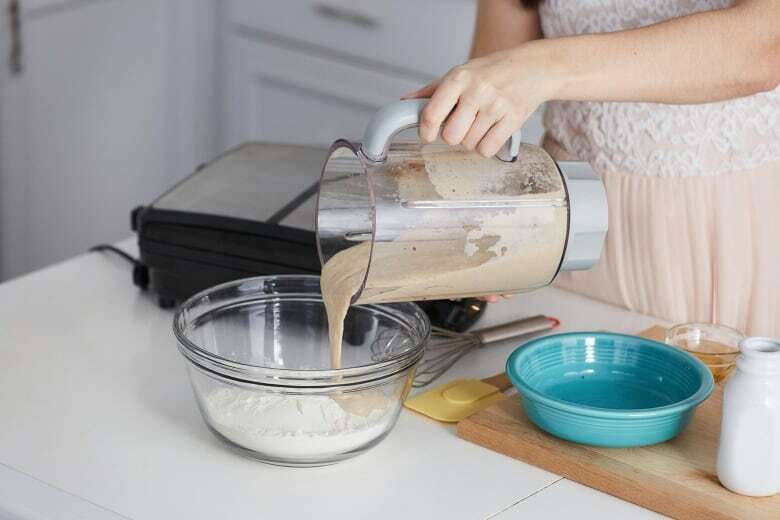 Add your coconut oil, maple syrup, almond milk, vanilla extract, and cinnamon. Blend until smooth. 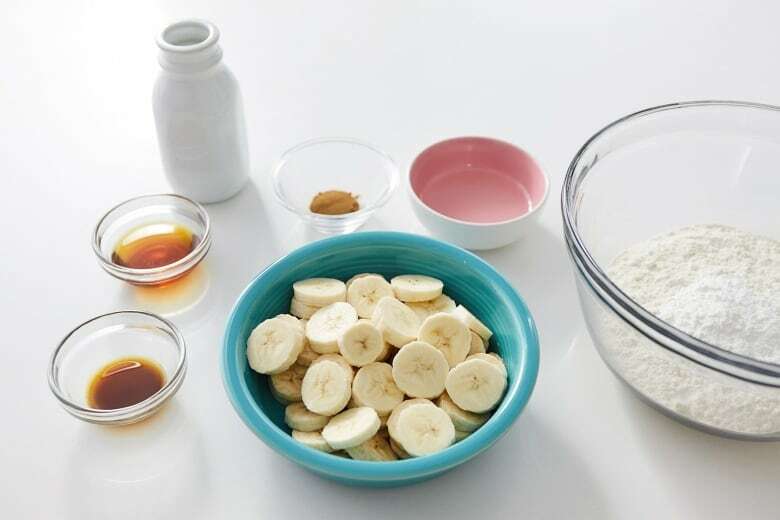 In a mixing bowl, combine your dry ingredients: flour, baking powder, and salt. Add your wet mixture and whisk until smooth. Preheat your waffle iron. 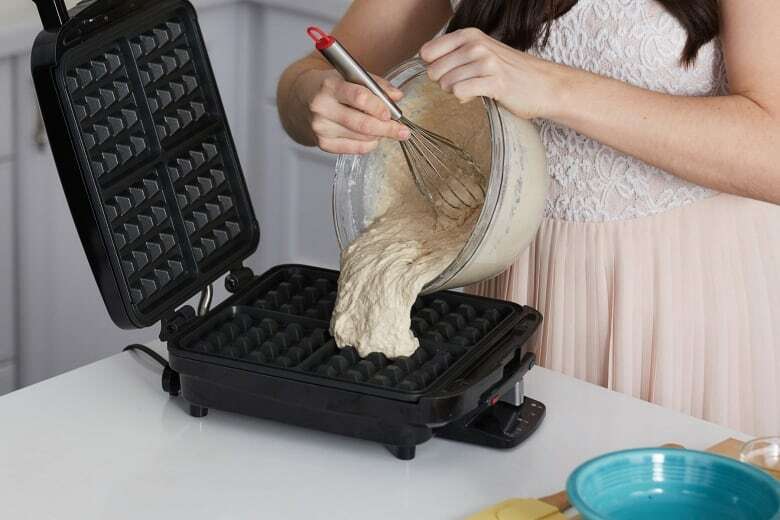 Once hot — add your batter to the waffle maker. Use a spatula to spread the batter to the corners. Cook your waffles according to your waffle makers’ instructions. Top your waffles off with some coconut whipped cream, coconut ice cream, maple syrup, peanut butter, or fruit! Whatever floats your boat. Eat right away, or freeze some for later! The perfect vegan way to start your day!